The Motul RBF660 Factory Line brake fluid is intended for all types of hydraulic brake and clutch actuators requiring non-silicone synthetic fluid. Specially designed to resist to extreme temperature generated by racing carbon and ceramic brakes allowing minimizing air entrance for brake cooling. Can be also used with conventional steel discs and clutch systems actuators. It has a very high dry boiling point of 325°C (617°F) and a wet boiling point of 204°C (400°F). Widely exceeds DOT 3, DOT 4 and DOT 5.1 standards (except for DOT 5.1 viscosity at - 40°C). 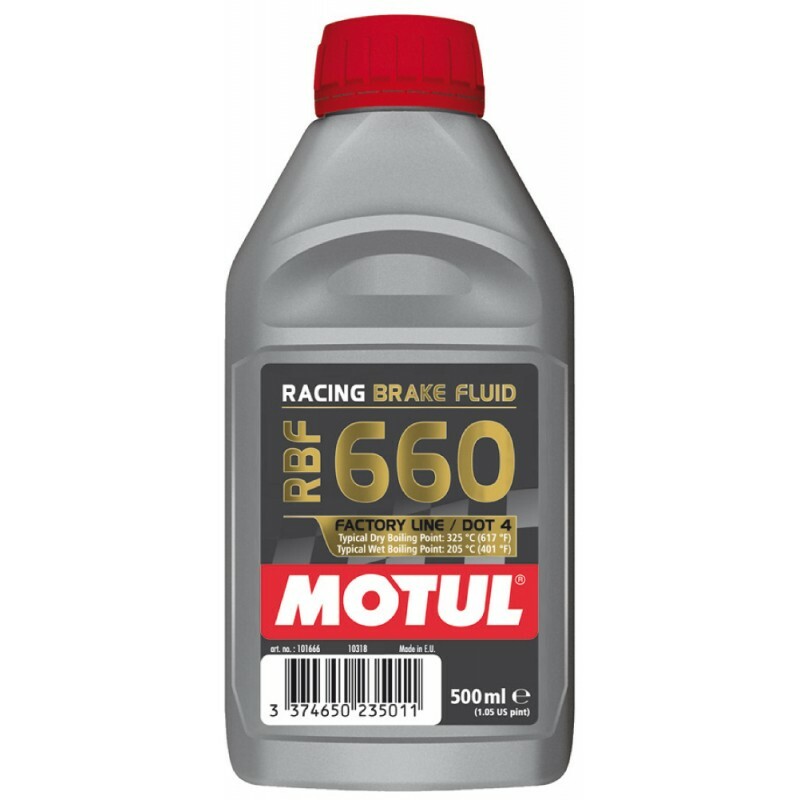 The Motul RBF600 Factory Line brake fluid is an extremely high performance polyglycol DOT 4 brake fl..
Motul DOT 5.1 brake fluid is a 100% synthetic non silicone brake fluid for all types of hydraulic ac..